Remember when I said that all shades of lavumchid (lavender/plum/orchid) are having a moment? 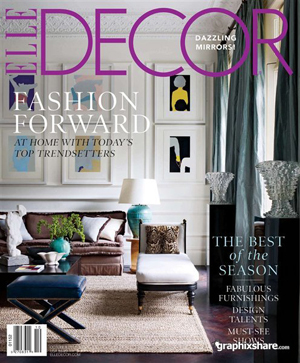 I just wanted to be real obvious about it and show you the October covers of House Beautiful, Elle Decor and Veranda. 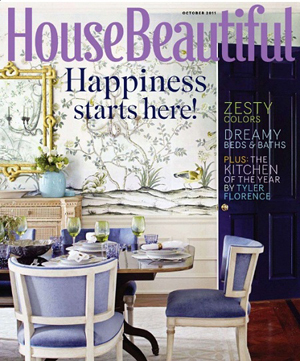 I died at the cover of HB when it hit my mailbox last week - a green and plum Chinoiserie dining room! And I noted the hip use of lavender on the cover, which prompted me to write that post last week. And then Elle D came. 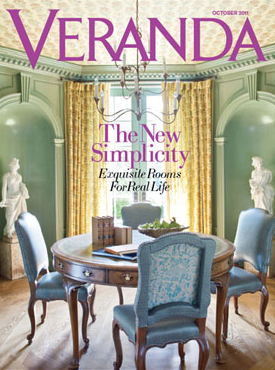 And then Veranda. And then I realized that all is right with the world. I have not always been a lavumchid lover...until I realized it was the perfect color to use against the green in my dining room. That began my love affair two years ago. I tend to adore it as an accent color more than the main event. But damn it's chic. I haven't dived into these issues yet, but I'm so looking forward to it. Daniela, I love lavumchild too! And thank you for being so forward minded to recommend I use orchid for my website!! You were RIGHT!! Then you just might like an antique pedestal bowl that I featured today....the moment I saw it, it reminded me of the House Beautiful cover.